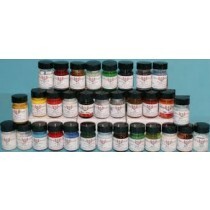 Oil based paint in a 1/2 ounce (14.7ml) jar in authentic Billing Boat marine colors. Great for all hobby and craft projects. Shake well. Hand-brush with natural bristle brushes for best results. When brushing, thin sparingly with BB #40 Thinner/Cleaner or acetone. For airbrushing, thin up to 20% with BB #40 Thinner/Cleaner or acetone and shake well. Clean tool immediately after use. For painting on soft wood, use BB #39 Primer/Base Coat for more even gloss.